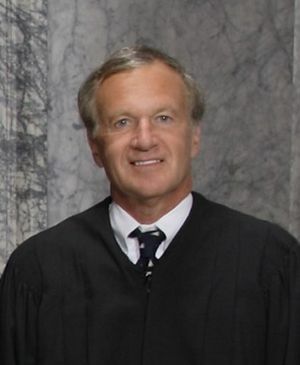 With the retirement of state Supreme Court Justice Jim Johnson for health reasons, Gov. Jay Inslee will have the opportunity to appoint a justice to the nine-member panel. The Spokesman-Review and the Yakima Herald-Republic have joined The Seattle Times in encouraging the governor to look East of the Cascades for his choice. Johnson has been a conservative, libertarian and populist influence on the court and a strong believer in open government — and something of an outlier. Though he was a native of Seattle and has lived for years in Olympia, he also has a strong sense of the differences in the state and the challenges facing natural-resources based economies in the more rural parts of the state. Of course, there are many factors to consider in selecting a qualified justice, including judicial philosophy, but experience matters too. In an editorial last week, The Seattle Times editorial board urged the governor to consider appointing a justice from Eastern Washington. The governor should consider appointing a justice from Eastern Washington, which has more than 23 percent of the state’s 22 appellate court judges, because they are elected by geographic division, but fewer than 10 percent of its Supreme Court members. Although Justice Debra Stephens hails from that side of the state, she is from its most urban spot, Spokane. Justice Susan Owens comes from Forks, a rural Clallam County community. The rest of the justices come from the populous and more urban King, Pierce or Kitsap counties. Of course, the chief consideration for such a choice is the wisdom to intelligently interpret whether laws conflict with Washington’s Constitution. However, there will probably be several qualified candidates, so it’s not untoward to push for more regional balance among the nine seats. Currently, the court has a decidedly West Side tilt. The selection of a qualified jurist from east of the Cascades would be a nod to the [former Gov. Chris ] Gregoire slogan of “One Washington,” which she invoked in selecting Stephens. We believe a continued commitment to regional balance would help further the goal of cooperation and inclusion. This week, a Yakima Herald-Republic editorial chimed in, specifically asking for a Central Washington appointee. After all, Gov. Inslee used to practice law in the Yakima Valley before he went into politics. Johnson, though a Seattle native who worked in the Puget Sound area, understands how people think and work in Washington’s small towns and rural areas. He comprehends how people value private property rights — especially how government sometimes doesn’t — and his being an Army veteran sets him apart from other members of the court. Whomever the governor selects will have to stand for election in November along with candidates for the three other open seats. For a candidate from rural Washington, winning a statewide election for a relatively low-profile race might be difficult. But a gubernatorial endorsement could certainly goose the campaign.